The CIA is acknowledging in the clearest terms yet the existence of Area 51, the top-secret Cold War test site that has been the subject of conspiracy theories for decades. The recently declassified documents have set the tinfoil-hat crowd abuzz, though there's no mention in the papers of UFO crashes, black-eyed extraterrestrials or staged moon landings. Audrey Hewins, an Oxford, Maine, woman who runs a support group for people like her who believe they have been contacted by extraterrestrials, said she suspects the CIA is moving closer to disclosing there are space aliens on Earth. "I'm thinking that they're probably testing the waters now to see how mad people get about the big lie and cover-up," she said. For a long time, U.S. government officials hesitated to acknowledge even the existence of Area 51. The CIA history released Thursday not only refers to Area 51 by name and describes some of the aviation activities that took place there, but locates the Air Force base on a map, along the dry Groom Lake bed. It also talks about some cool planes, though none of them are saucer-shaped. 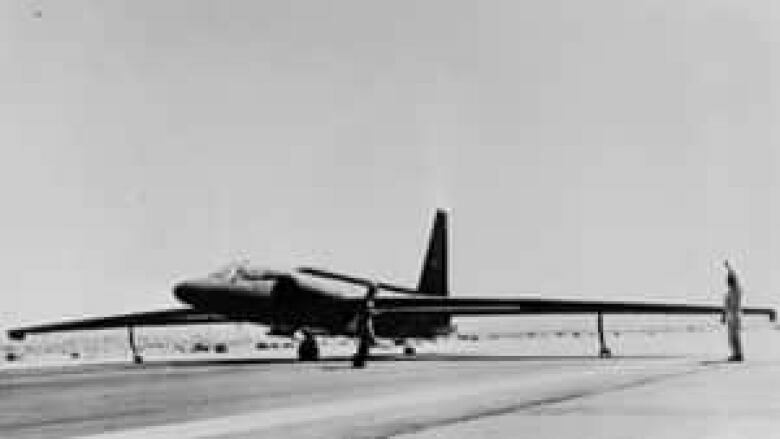 George Washington University's National Security Archive used a public records request to obtain the CIA history of one of Area 51's most secret Cold War projects, the U-2 spy plane program. National Security Archive senior fellow Jeffrey Richelson first reviewed the history in 2002, but all mentions of the country's most mysterious military base had been redacted. So he requested the history again in 2005, hoping for more information. Sure enough, he received a version a few weeks ago with the mentions of Area 51 restored. The report is unlikely to stop the conspiracy theorists. The 407-page document still contains many redactions, and who's to say those missing sections don't involve little green men? It's not the first time the government has acknowledged the existence of the super-secret, 20,700-square-kilometre installation. 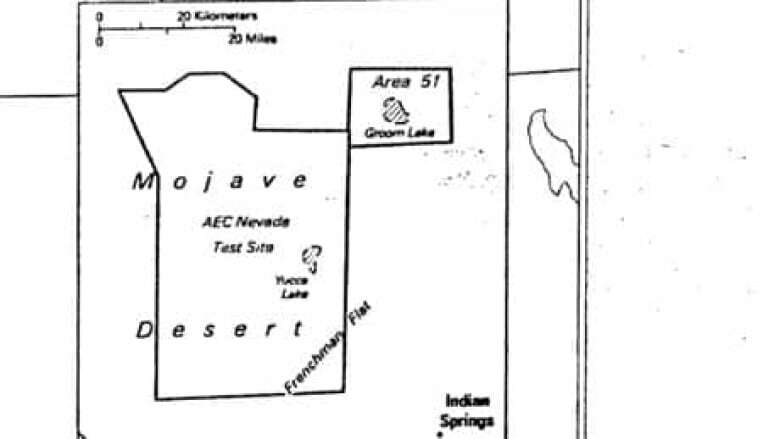 Presidents Bill Clinton and George W. Bush referred to the "location near Groom Lake" in insisting on continued secrecy, and other government references date to the 1960s. But Richelson, as well as those who are convinced "the truth is out there," are taking the document as a sign of loosening secrecy about the government's activities in the Nevada desert. The site is known as Area 51 among UFO aficionados because that was the base's designation on old Nevada test site maps. The CIA history reveals that officials renamed it "Paradise Ranch" to try to lure skilled workers, who can still be seen over Las Vegas flying to and from the site on unmarked planes. Beginning with the U-2 in the 1950s, the base has been the testing ground for a host of top-secret aircraft, including the SR-71 Blackbird, F-117A stealth fighter and B-2 stealth bomber. Some believe the base's Strangelovian hangars also contain alien vehicles, evidence from the "Roswell incident" — the alleged 1947 crash of a UFO in New Mexico — and extraterrestrial corpses. The CIA history mentions an "unexpected side effect" of the high-flying planes: "a tremendous increase in reports of unidentified flying objects." The report notes that the U-2 and Oxcart planes, which flew higher than civilians believed possible, accounted for half of UFO sightings during the 1950s and '60s. A likely story, said Stanton Friedman, a self-described Ufologist from Canada. "The notion that the U-2 explains most sightings at that time is utter rot and baloney," he said. "Can the U-2 sit still in the sky? Make right-angle turns in the middle of the sky? Take off from nothing? The U-2 can't do any of those things." Even for those who do not believe in UFOs, the mystery surrounding the site — situated about 160 kilometres northwest of Las Vegas, across miles of desert speckled with Joshua trees and sagebrush — has been a boon. One Nevada bicycle event company produces an "X Rides" event that incorporates mountain biking near a certain heavily guarded patch of Nevada desert. Las Vegas' minor league baseball team is called "the 51s." 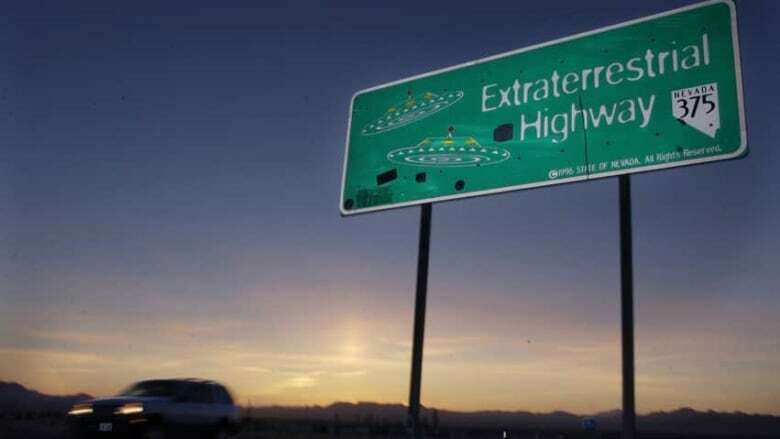 Small-town restaurants along State Route 375, officially designated the Extraterrestrial Highway, sell souvenir T-shirts to tourists making their way to the boundary of Area 51, which consists of a no-trespassing sign, an armed guard on a hill and a surveillance camera.